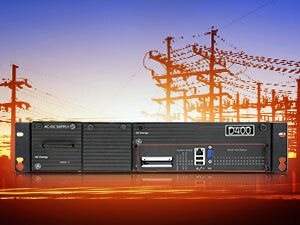 GE is proud to announce the release of the Multilin™ D400 with firmware v5.3. This secure, substation hardened advanced gateway collects metering, status, event, and fault report data from serial or LAN based intelligent substation devices. The Multilin D400 summarizes data from the substation devices and makes it available locally or remotely through a standard secure web browser (HTTPS). It supports serial and/or LAN connections to SCADA masters. TCP/IP network connections are supported over the built-in Ethernet and the modem interface.